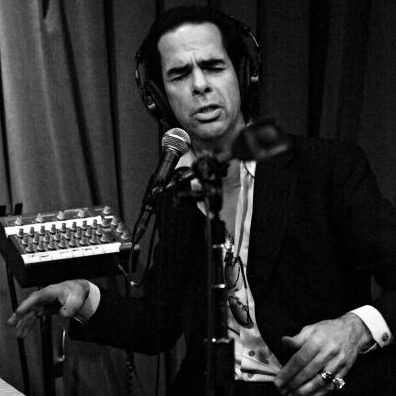 44 excellent minutes of Nick Cave live on KCRW radio. 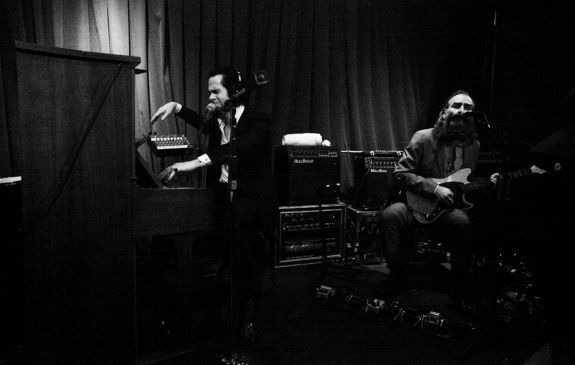 Nick Cave can do whatever he wants. 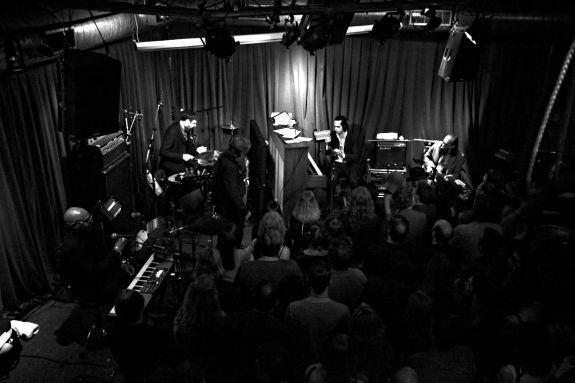 His dark menacing persona and gorgeously sinister baritone have made him untouchable – on pretty much every level — over many years in the music business. But even though he can do whatever he wants, he continues to make great records (this year’s “Push The Sky Away” is excellent), always looks incredibly dapper, and never takes his audience for granted. 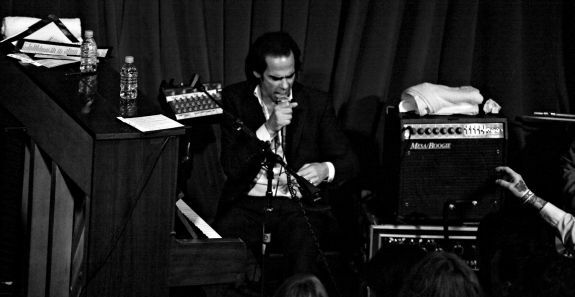 Nick Cave and the Bad Seeds performed a show for a rapt audience of super fans and thrilled observers as part of KCRW’s Apogee Sessions series last night and it was truly one-of-a-kind. He started the show by soliciting requests. After a barrage of responses, he responded with “we can play all that (pause) but we’re not going to”.